Ta Wan, Ciputra World Mall, 3rd Floor, Surabaya, Indonesia - my name is Food. Ta Wan, a chinese restaurant offering a wide range of Chinese dishes but specializing in porridges. Branches around Jakarta and Surabaya is widely known amongst the locals. Came here for a quick dinner before going to Spazio for late night drinks, quite busy as it was dinner time and usually since the population here is more than it is in Aus, the restaurants do tend to be filled quite quickly. Since we both weren't quite hungry, we decided to just order something light so only 2 dishes were ordered. The first, 'Kacang Panjang Cah Sapi' (IDR27k = around AUD$2.7), when translated into English, this would be 'String beans with minced beef'. A quite simple dish, but once you add warm rice with it, you starts to know why simple dishes are made. 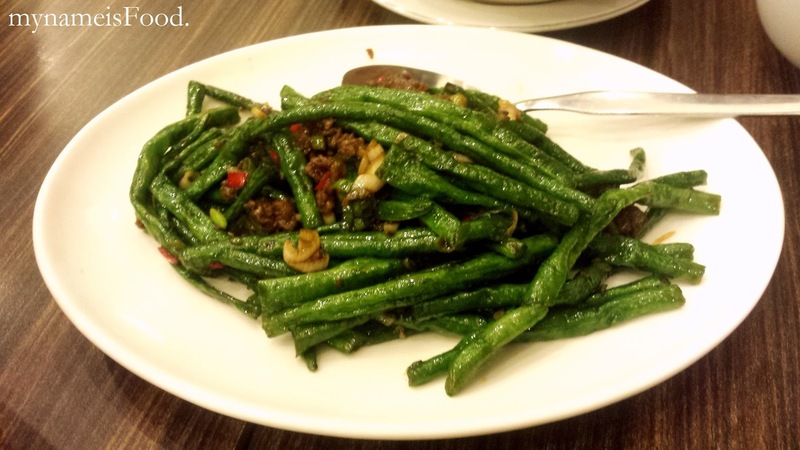 The string beans was pan fried nicely, with the right amount of soy sauce and garlic added to it, however, the minced beef was quite little compared to the string beans. 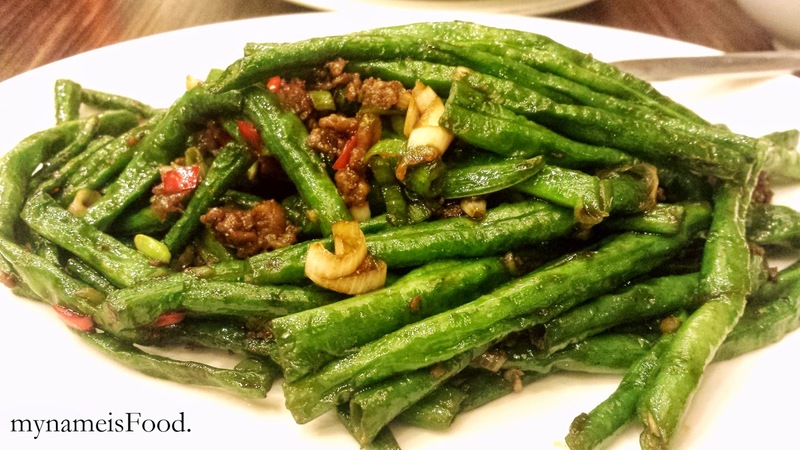 I think that more minced beef would've been nice, so that even the outlook of it won't show that the beef were drowning under the string beans. 'Sapo Tahu Seafood' (IDR32.5k = AUD$3.3) which is 'Seafood Sapo Tofu', another classic and simple dish. 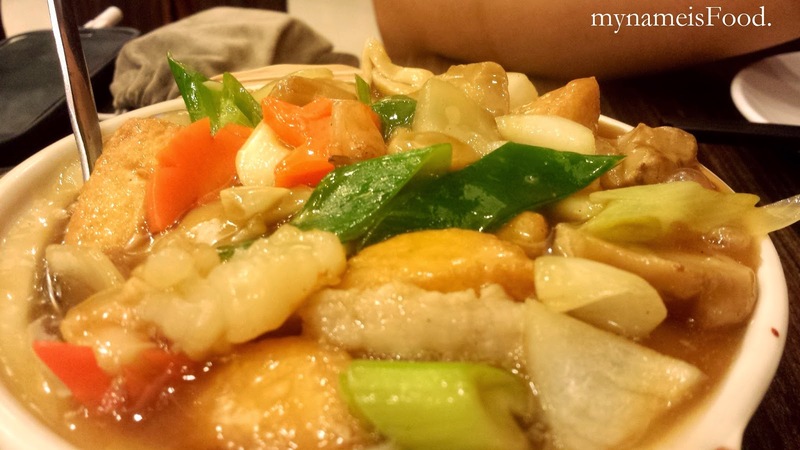 Portion was quite big and was filling, the amount of seafood and the sapo tofu was just right. 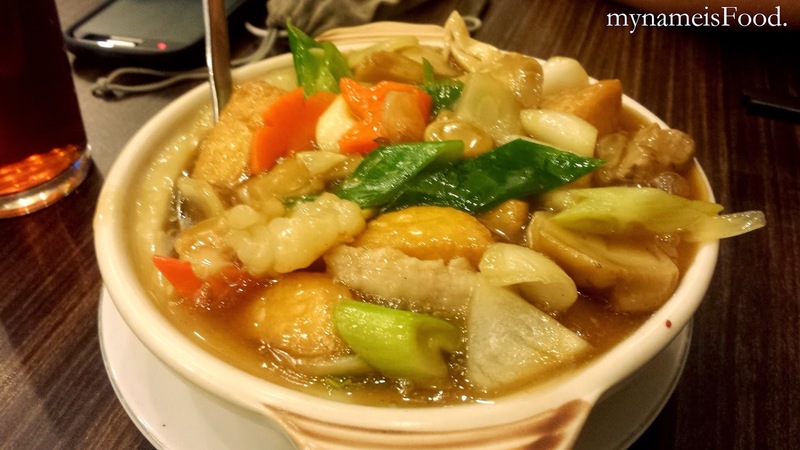 Sapo Tofu is one of the nicest and softest tofu there is amongst the other types of tofu. The seafood wasn't cut in small pieces but was rather big which was nice to see.